Gen Ihor Lunyov was chosen over Col Serhiy Kryvonis. Maj-Gen Ihor Lunyov, the first deputy commander of the Airmobile Forces, has been appointed commander of the Special Operations Forces of the Defence Ministry. "There were three candidates for the post of the Special Operations Forces commander. Two of them made it to see the higher selection commission of the Defence Ministry. One left due to health conditions. There were two candidates: Maj-Gen Ihor Vasylyovych Lunyov and Col Serhiy Hryhorovych Kryvonis. 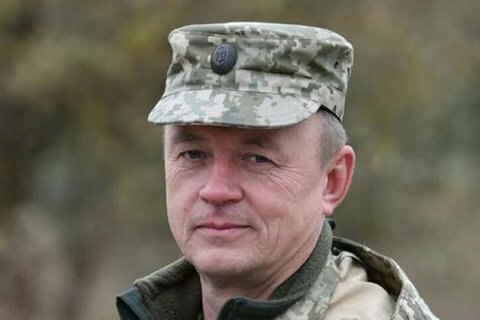 The selection commission picked Maj-Gen Lunyov as the main candidate. He was already appointed to the post by the defence minister's decree," Armed Forces General Staff Commander Viktor Muzhenko said in an interview published on the General Staff's Facebook. Muzhenko made a point that Lunyov was chosen because he is an experienced commander not because he is a representative of the Airmobile Troops. Until recently, Serhiy Kryvonis had been in charge of the Armed Forces' department for special operations. Lunyov oversaw the planning and command of airborne units in operations to recapture Slovyansk, Kramatorsk, Debaltseve, Vuhlehirsk and other locations held by militants. In October 2014, he directly commanded a group of forces protecting Donetsk airport.